Dr Elmanharawy qualified thirty years ago and placed his first implant in 1994, when he also completed higher specialist training in oral surgery. He was awarded the Diploma in Implant Dentistry,the advanced certificate of the Royal College of Surgeons of England in 2006 and an MSc in Implant Dentistry at Queen Marys, University of London a year later. 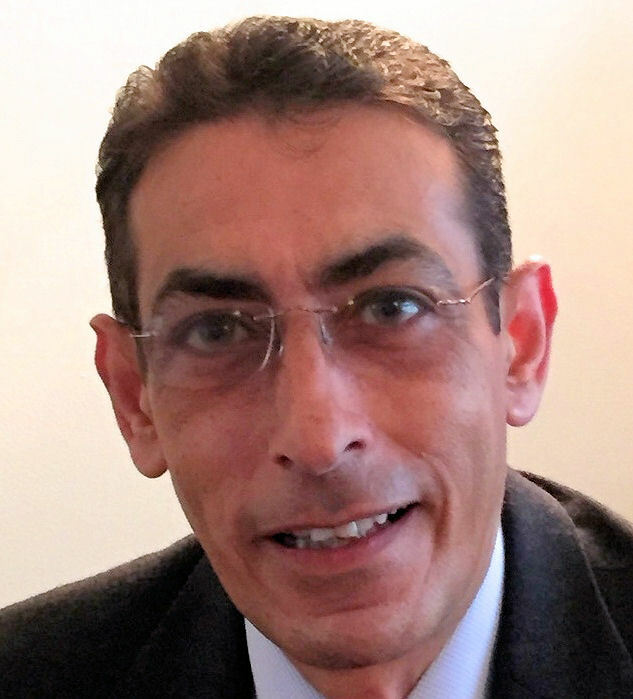 Dr Elmanharawy is a tutor on the Diploma in Implant Dentistry course and the Oral Surgery Certificate course at the Royal College of Surgeons. He has lectured nationally and internationally and has been providing regional courses on all aspects of implant dentistry over the past fifteen years. Patients just beginning to think about dental implant treatment may find it helpful to attend a complimentary preliminary consultation with our treatment co-ordinator and with Dr Elmanharawy, the implant dentist. This appointment does not include a clinical examination and it only takes 15 minutes. The discussion will help you consider the options for treating your dental problems and decide whether to proceed to a clinical consultation for implants. The preliminary consultation is free of charge for visitors enquiring through this website. Please use the button in the right hand column to request an appointment. Once you have decided in principle that you want implant treatment, the next step is a clinical consultation. This includes a comprehensive oral examination, and results in production of a fully-costed individual plan for your treatment. "I had problems with a tooth in the centre of my upper teeth, the tooth had been capped. This was due to a tripping up. The tooth had its nerve removed. A further accident meant the tooth had to be removed. I had a bridge to replace this, almost every time I went on holiday the bridge fell out. 11 years ago I had an implant fitted. I have had no further problems and I no longer have the worry of the bridge falling out and having to endure periods of feeling embarrassed about smiling with a gap in my teeth." " Implant surgery was very new to me, but I decided that this was the right option. I am very pleased with the outcome which has given me two strong teeth with an attractive appearance, and totally eliminated previous pain and discomfort. The implant procedure itself was pain-free, and carried out with skill and precision by Dr Elmanharawy and his staff. I am very happy to recommend the Cottage Implant Clinic." "After careful explanation of the various alternatives I decided that an implant was by far the best treatment option for me in terms of aesthetic functionality and longevity. The procedure and costing were explained in detail and the treatment itself was carried out with exceptional care and attention. The result has been brilliant, everything I have hoped for." The aim is to provide clear and well explained treatments that match patients’ expectations. Referring dentists are encouraged to be involved at any treatment stage. Referred patients are usually seen within a few days and the referring dentist is contacted following every stage of the implant treatment. The clinic is fully dedicated to accepting referrals for the full range of dental implantology and oral reconstructive procedures and has been completely refurbished with the provision of a dedicated surgical implantology theatre with multimedia facilities. The clinic was recently assessed by the Royal College of Surgeons (Eng) and received the accreditation for implant training.